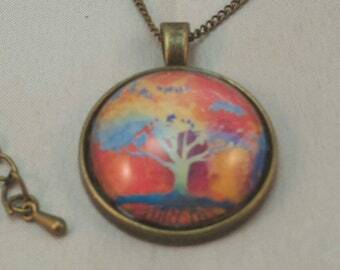 1 inch Round Dome Pendant available in both Glass or Resin over a high quality digitized image. 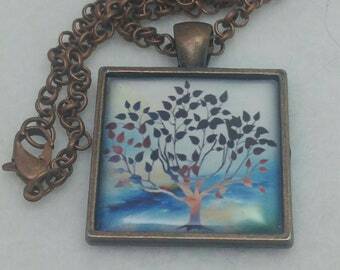 Family Tree of Life Art Pendant Necklace Jewelry Purple Background Gift Idea for her. Almost every culture and religion through out the ages have made reference to the Tree of Life or sometimes called the sacred Tree. The Tree of Life or sometimes called the Family Tree has been reference by many religious cultures throughout time with with as many interpretations. 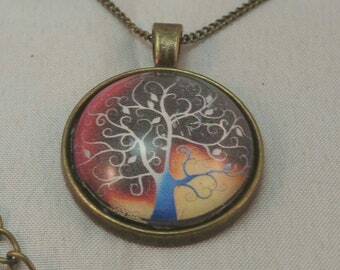 Here is mine of this very special Necklace Pendant Jewelry. 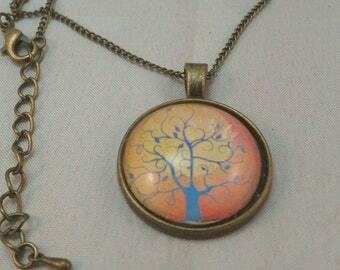 The tree represents your life. The roots represents your elders and the foundation that they made for you. 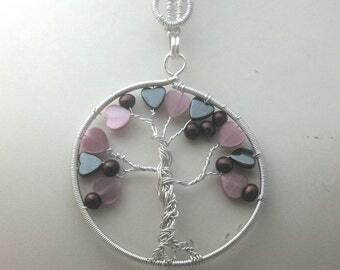 The branches represent your children and grandchildren as you spread your legacy. 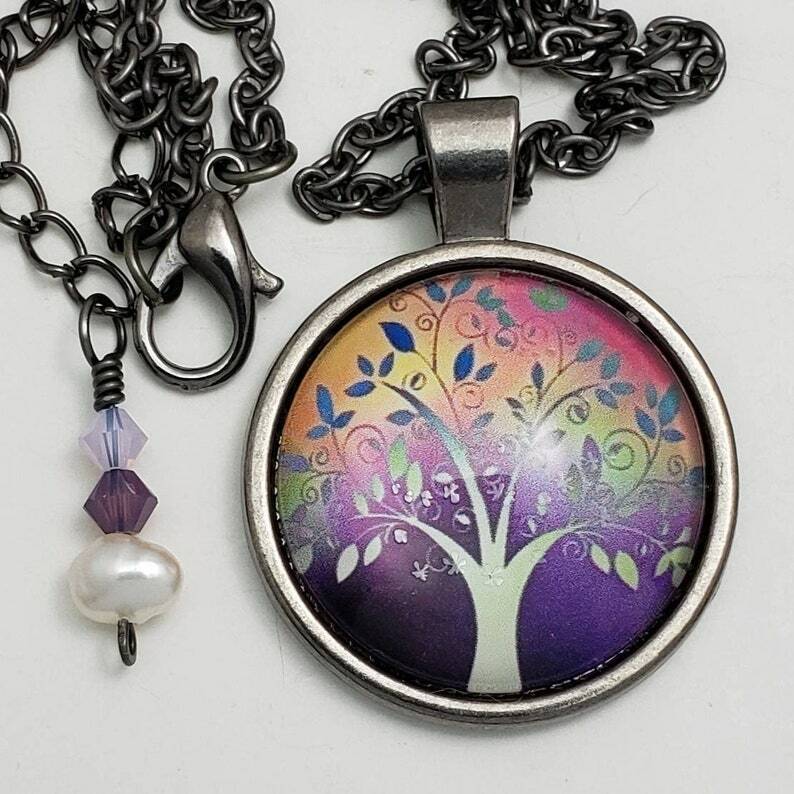 This Pendant Necklace Jewelry features our Tree of Life with Purple background. It is a digitized image with a dome Cabochon covered with Plated Brass Frame and large bale. You can also choose from Silver Tone, Antique Copper or Gun Metal finish in round or square design. Also included is up to 24 inch Rolo Necklace with a lobster clasp. Great look for Guys or Gals. Pendant is water resistant but not water proof. do no wear in pool, tub or shower. Each pendant is Handcrafted in our Studio in Tucson, AZ. 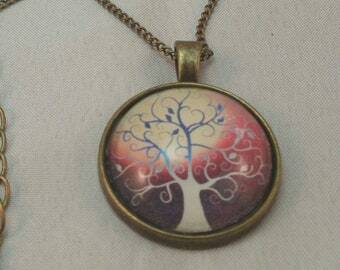 Be sure and check out our Wire Wrapped Tree of Life Pendants in the shop as well.